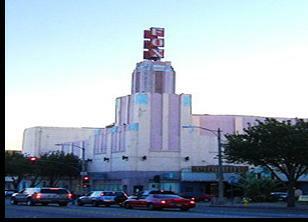 Pomona’s population density is 3 times that of Los Angeles County, but less than that of the City of Los Angeles. Its population is projected to increase by 22 percent by the year 2025. The racial and ethnic composition of Pomona is 65 percent Hispanic, 17 percent non-Hispanic white 9 percent African American, and 9 percent other. One-third of its population is under age 18.
similar to that of California and higher than that of Los Angeles County. The rate of growth of new housing units in Pomona is lower than population growth, resulting in an overcrowding rate of 34.5 percent, significantly higher than the county and state. The City of Pomona, 22.85 square miles, is located on the eastern-most border of Los Angeles County in the heart of the Greater Los Angeles Basin. Pomona is positioned at the crossroads of the Inland Empire and the San Gabriel Valley, surrounded by the cities of Claremont, La Verne, San Dimas, Walnut, Diamond Bar, Chino, Chino Hills, and Montclair. In the lower-lying areas, the city is divided by three major freeways, the Orange Freeway (57) which separates the western portion of the city near Cal Poly Pomona, the Corona Expressway (71) which diagonally transects the western half of the city, and the San Bernardino Freeway (10) which separates the northern-most corner of the city. A fourth freeway, the Pomona Freeway (60), runs east-west along the southern edge of the city, separating some residential uses, major commercial uses (the Pomona Marketplace), light-industrial/business park uses, and the Diamond Ranch High School from the rest of the city. The City of Pomona is a great population center and is home to many colleges & trade schools due to its central location (Please ask broker for a list of regional educational centers). Pomona as well offers an array of highly skilled work force with approximately 20% of the businesses in Pomona are related in manufacturing work. The city is named for Pomona, the ancient Roman goddess of fruit. 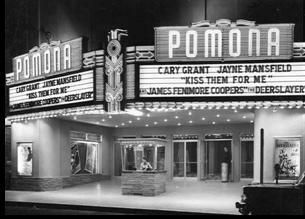 Supplied by horticulturist Solomon Gates, "Pomona" was the winning entry in a contest to name the city. The city was first settled by Spaniards in the 1830s and the first Anglo-Americans arrived in 1868. By the 1880s, the arrival of railroads and Coachella Valley water had made it the western anchor of the citrus-growing region. 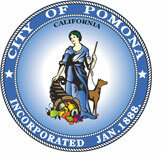 Pomona was officially incorporated on January 6, 1888. Six strategies have been identified to implement the vision for economic development. These strategies are synergistic and complementing each other as they are implemented. The strategy to attract high-tech industry is a strategy intended to increase the incomes of local residents through the provision of local high paying jobs. The industry sectors being targeted are high-tech in medical, engineering, advanced transportation technology, communications, and information technology. The corridor and cluster-based development strategy will be used to revitalize commercial corridors and nodes with office, retail, and mixed-use development thereby providing a range of jobs near residential communities in Pomona to lower the local unemployment rate. The development will also improve the aesthetics of Pomona’s commercial corridors, helping to attract additional investment. The mixed-use development strategy encourages vertical combinations of commercial And residential land uses in designated areas, residential above retail or office, and office above retail. This type of development helps in community building ⎯ a very important tool in economic revitalization. 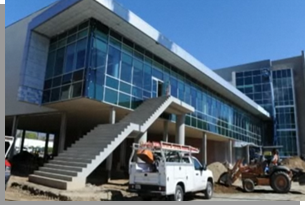 It also provides a healthy, comfortable, and attractive environment for both residents and workforce. The transit-oriented development (TOD) strategy targets new development of higher density commercial and residential uses adjacent to transit stops such as a bus stop or a light rail station. This strategy promotes efficient and environmentally sensitive growth by creating a “critical mass” of activity accessible to a large and varied group of people from the local area and surrounding cities that are equally well connected. The strategy for workforce development is to enhance current job skills and provide training in beginning and advanced skills for local residents so that they gain access to higher paying jobs. This strategy aims to reduce the income gap between different income groups and promote better standards of living. It also provides a skilled labor force for economic development efforts to attract new businesses. The international trade strategy is to leverage the existence of the two foreign trade zones(FTZ) to attract export manufacturers to provide good family-wage jobs in the community. Trade Pacifica, and international and domestic symposium program will provide trade education to businesses to attract import/export businesses.